Join one of the Highest Paying Affiliate Programs on Clickbank! 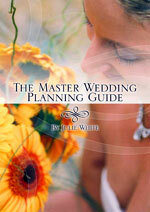 The Master Wedding Planning Guide now pays you 75% for EVERY sale referred! Now you can make the Easiest Sales Of Your Life with our best converting design EVER! It's priced right and completely sells itself! It costs nothing to try! There are tips at the bottom of this page for beginners with no website who want to make serious cash! 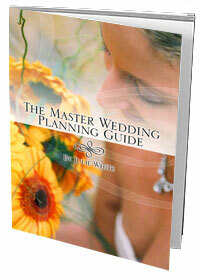 If you do own sites related to weddings, events, etc, or if you just want to start your own wedding planning campaign, this is the perfect program for you. Find out why this is such a great seller with a lower than 1% refund rate. The possibilities are endless! You make an industry leading 75% on all sales, big or small. You Can Make This Much! 1: Our refund percent has never exceeded 1%! Compare that to any other competing site. 2: We only use Clickbank, which means you get 100% of all of your Sales! 3: We send follow up newsletters that direct the customer back to our site and you still get 100% credit for the sale! 4: Our members love us and we provide a fantastic product at the lowest possible cost so they write us thank you emails everyday! The point??? You can feel good about the money you make! If you don't have a clickbank ID, sign up here! It takes about 1 minute. CLICK HERE to find out more about Clickbank and CLICK HERE to get a FREE Clickbank ID. Replace "YOURID" in the link above with YOUR ClickBank Username and get 65% of everything we sell for you!! !